New Contact Cards launched by Victoria Police will not serve to reduce or prevent racial profiling or even track disproportionate stop rates, according to Victoria’s Police Accountability Project. 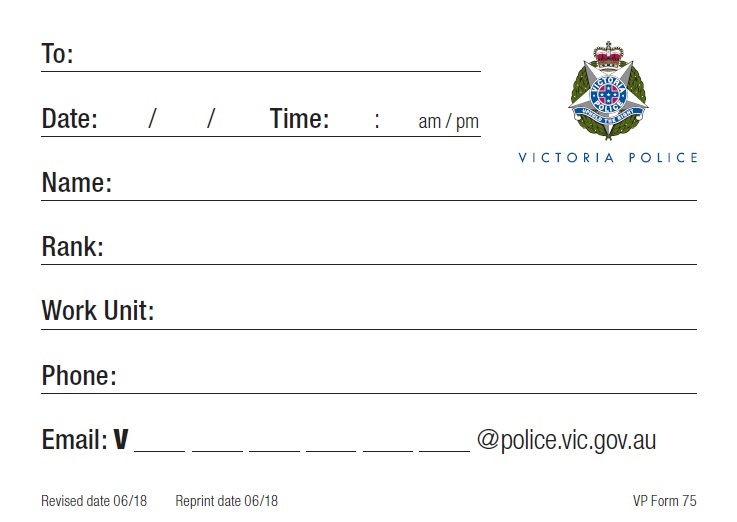 The business cards that police can now provide to people they stop, question or search on the streets contain the officer’s name, station and contact details. They do not contain the reason for the stop nor do not provide a way for Victoria Police to monitor who and why they stop people. 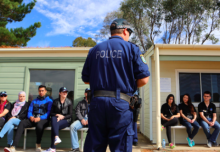 Whilst part of a move to increase transparency and accountability, this new initiative fails to fulfill obligations Victoria Police made to the community during its Equality Is Not The Same action plan. 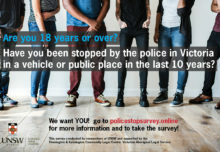 Victoria Police have introduced policies against racial profiling, but still, five years after a Federal Court case uncovered vastly disproportionate stops rates on young people from African backgrounds, they do not have any measures in place to track ongoing race-based stops by police. Police conducted consultations on these contact cards. “During the consultation on these cards we asked that reason for the stop and perceived ethnicity to be included on the contact card. This has been ignored and showed police haven’t committed to feedback from members of the public.” Mr Maleek said. Despite Victoria Police having a ‘zero tolerance for racial profiling’ policy, our centre’s African clients still report multiple and regular traffic and street stops by police. “I have been stopped by police on six occasions in the past six months,” said youth worker, Barry Berih. 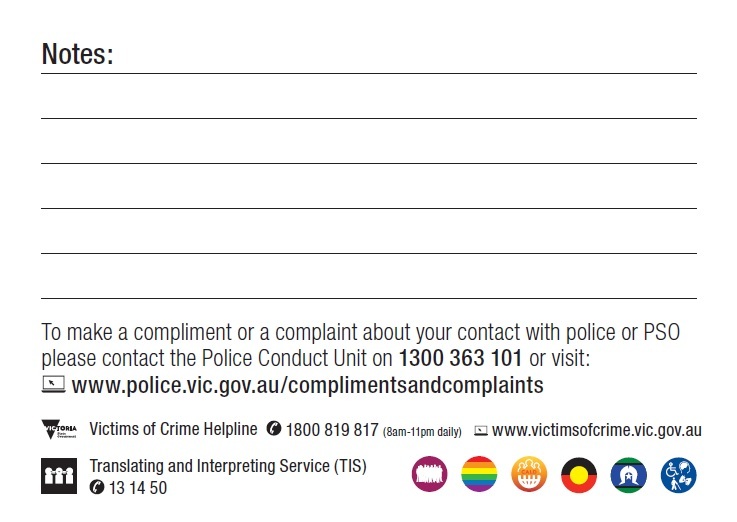 Providing a simple business card to people who are stopped by police will not reduce the reported disproportionate stops rates experienced by Victoria’s diverse communities. In 2013 it was revealed through court findings that Victoria Police were stopping young men of African background at two and a half times the rate that they have stopped their white counterparts, despite those young people being under represented in the local crime statistics. Victoria Police have not been able to provide statistics to demonstrate any improvement in this field contact stop data despite years of work to strengthen community trust and confidence in police. Despite Victoria Police four years ago committing to looking at the information gathered from police stops, there is still no data collection and no public reporting in place. A report released late last year, Monitoring Racial Profiling: Introducing a scheme to prevent unlawful stops and searches by Victoria Police provided best practice recommendations to Victoria Police and the Victorian Government for the establishment of an effective racial profiling monitoring and prevention scheme. The scheme creates a public accountability mechanism to reduce the use of stereotyping in police stops. 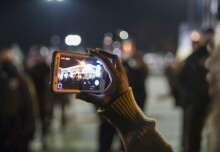 Collection of data on the race of people stopped is the critical tool in understanding and preventing racial profiling. It now occurs in the UK, Europe, Canada and the US. We reiterate our call to Victoria Police to develop and resource a robust racial profiling monitoring and prevention scheme that has been called for for so long. What’s good about these cards? If a Police or Protective Services Officer asks you for your name and address, you are entitled to ask them for their name, their rank and the police station where they work. Police can now use a contact card to write their details. Community members often report that police are reluctant to or refuse to provide their names details to young people they stop. The rollout of this new card may encourage more police to provide this information when requested. Whilst it remains a voluntary and discretionary option we expect that many police will simply refuse to provide it even when asked. The Police Accountability Project recommends that people do ask for the contact card if stopped by police and if safe to do so at the time. We also recommend that people keep these cards as a record of how many times they are stopped. If any Victorians are concerned about how many times they have been stopped by police or if they police failed to provide a reason they can contact YouthLaw on 9611 2412 or the Flemington Kensington Community Legal Centre on 03 9376 3455.